As you may know, there is room for 10 Extracurricular Activities on the Common Application. Especially at the more competitive colleges, this is the section that colleges look at to get more insight into what makes your child "tick". Don't join a club because you think it "will look good on your resume"
Many schools are open to students who want to start their own clubs. Not only does this show great initiative, but it's easier to establish a leadership position in the club when you're in charge it. I've had PrepWellers start a Shark Tank Club (for entrepreneurs), Cryptocurrency Club, Escape Room Club, Military Club, eBay Flippers Club, etc. How much commitment does each Club expect/require? Do you have enough room on your schedule to participate? Is there a path to leadership in the Club? If you don't see a Club that you like, can you start your own? And remember, when it's time to apply to colleges, most will appreciate the depth of engagement, participation, and leadership over the absolute number of clubs. Sally started a Shark Tank Club freshman year. It's a club for budding entrepreneurs who want to discuss business ideas. The club started out with only 3 students. By Sally's senior year, the club had over 50 fully-engaged students. It became one of the most popular clubs on campus. The club now sponsors a "Shark Tank Business Plan Contest" that attracts community leaders from around the city who judge five groups of high school entrepreneurs seeking start-up capital. The winner of the contest wins $10K. Justin joined five different clubs: Spanish, Key Club, Soup Kitchen Club, Book Club, and History Club. His attendance was sketchy over the years. Many of the clubs had overlapping meeting times. Since he never got overly involved in any one club, he never earned a leadership position. Technically, he made it to 50% of the meetings, but had little impact on the club members or community. He didn't learn much about himself along the way, either. Justin has more activities to enter under "Extracurriculars" on his college application, but most admissions officers would consider these activities "fluff". Sally, on the other hand, could talk about building the Shark Tank Club for hours and hours. It helped her learn how to network, meet other classmates, interact with community leaders, and talk in front of large groups of people. It also reinforced her strong interest in entrepreneurship. Who's the more appealing candidate? 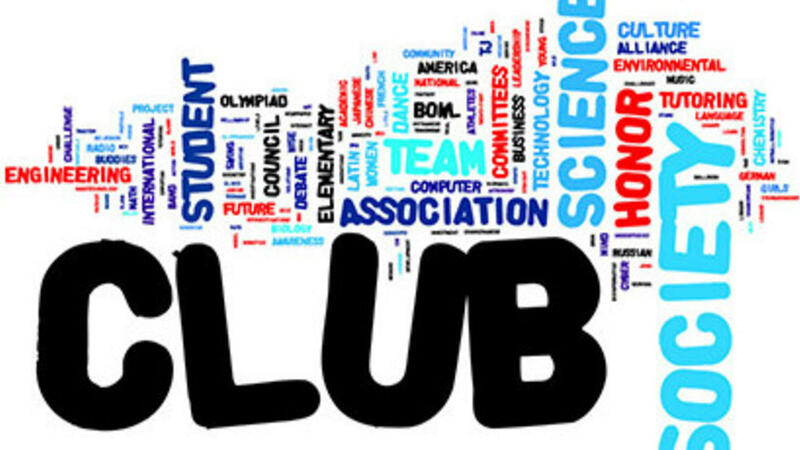 Teens should strive to be thoughtful and strategic about what clubs to join during high school. Not every club will be a perfect fit, but it's important to approach the process with a plan in mind. Be intentional. If this blog has been valuable, enroll in PrepWell Academy to get timely tips and guidance like this one on a weekly basis.